Change the perception of our state by building awareness of what makes Ohio a great place to do business. 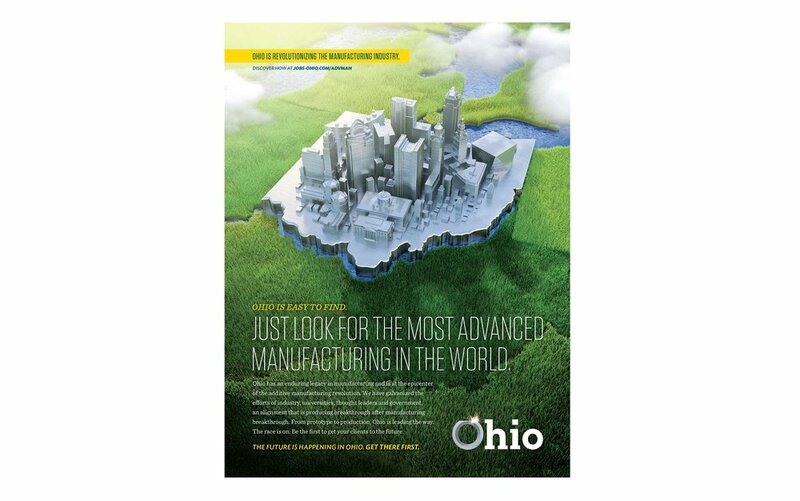 Business leaders weren’t aware of all Ohio had to offer. They were quick to judge Ohio as a flyover state on their way to brighter economic opportunities. We targeted CEOs, CFOs and other decision-makers with a campaign that focused on how Ohio could spark more positive change for their business when compared to the rest of the country.